Keep in mind that while the functionality of these tips remains the same, the screenshots and descriptions may not match up perfectly when comparing phones with a physical keyboard to the tablet. Keep reading after the break for your third PreCentral Tips review lesson. Don't have a Touchstone charger, but still want to partake in all the Exhibition fun? This tip's for you! Learn how to use the Text Assist Autocorrect functionality in webOS. Also, check out these additional tips to learn how to Manually add/remove learned words to Text Assist or Add/remove text shortcuts in Text Assist. Don't like the "sent from my HP Touchpad" email signature that comes preset on your email accounts? Learn how to change it here. While there are options to simply tap the delete icon to delete an email or utilize the ability to delete multiple emails at once, you can still swipe to delete an email from the middle email pane. 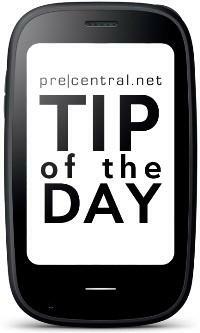 This tip will show you how to endable or disable the ability to require a confirmation for the deletion.